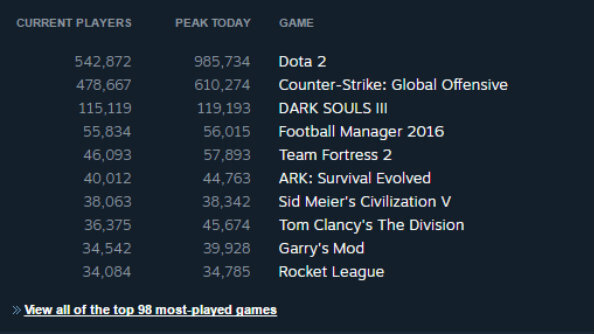 Dark Souls 3 currently has the third biggest player count on Steam, beaten only by Valve’s own Counter-Strike: Global Offensive and Dota 2. 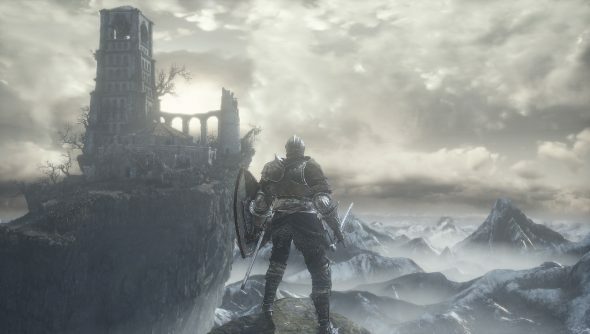 A few of the games in our list of PC’s best RPGs don’t have a patch on the Dark Souls series. At the time of writing, Dark Souls 3 has 115,119 current players and has hit a119,193 peak. To put it into perspective, Football Manager 2016 is next with 55,834 players, followed by Team Fortress 2 with 46,093, and ARK: Survival Evolved with 40,012. So Dark Souls 3 is in the lead by more than double its nearest competitor. FromSoftware’s business account probably isn’t hollow. You wouldn’t think it from some of the elitists still floating about, but Dark Souls is finally mainstream. If you haven’t already, read our Fraser’s brilliant Dark Souls 3 review and you’ll see why the spike in popularity is deserved.